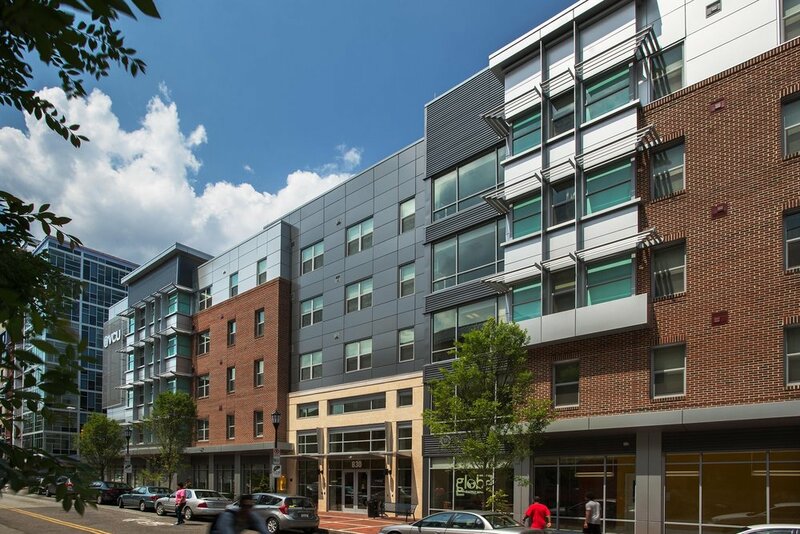 To accommodate a growing student population, Virginia Commonwealth University enlisted NBA to expand its living and learning facilities with a five-story mixed-use project. The University sought an aesthetic that expresses VCU’s entrepreneurial culture and urban location, seamlessly blending contemporary and traditional elements. The design combines apartment and efficiency units with an international education center that can be easily reconfigured. The material selection—smooth and louvered metal panels, brick, cast stone, store-front glass— reflects an updated sense of permanence and durability. The project achieved a LEED Silver certification. - 151,000 total sq. ft.